WIPO is hosting a Seminar on the Practical Aspects of the Madrid System in Geneva on 24 to 25 April 2019 and registration is now open. As before, this highly popular and hands-on masterclass focuses on a wide range of Madrid System processes and procedures, such as filing an international application and managing registrations. It also serves as a useful platform for participants to exchange knowledge and ideas, and provides a forum for feedback that will help us continuously improve and enhance the System for our fast-expanding user base. 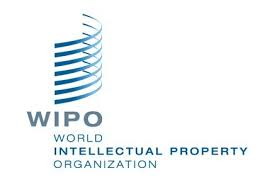 WIPO speakers will give presentations on WIPO’s role in the Madrid System, cover some of the System’s recent developments, and introduce a range of new and improved online services. We will also explore the role of the Designated Contracting Party in some depth. Moreover, our special guest speaker will be Mr. Gavin Stenton, Partner at Penningtons Manches LLP in the United Kingdom. Mr. Stenton will share his experiences in responding to refusals, and discuss issues relating to the United Kingdom. The provisional programme is available here (PDF). Registration can be made until 18 April 2019 and the fee is CHF600 (including materials, lunches, morning and afternoon tea).